This article is relevant to wholesale-only banks who were previously not members of the FSCS Deposit Guarantee Scheme. For information relating to banks who were previously members of the scheme, please see Part 1 here. The UK Deposit Guarantee Scheme (DGS) offers protection of up to £85,000 for eligible depositors in the event their deposit-taker fails. This is funded by the Financial Services Compensation Scheme (FSCS), which deposit-takers are currently required to contribute to. The recast Deposit Guarantee Schemes Directive (DGSD) is an EU directive published in April 2014, intending to harmonise deposit-protection schemes across the EU. The PRA released a Consultation Paper (CP 20/14) in October 2014, detailing proposed changes to the DGS to implement the recast DGSD and suggesting how the DGS would work in operation, as well as in cooperation with the EU Bank Recovery and Resolution Directive (BRRD). This article will explain these new regulations and the effect they will have upon the operation of UK wholesale-only banks. Importantly, wholesale-only banks should be aware of upcoming deadlines by which certain regulations must be met – the immediacy of which means that compliance planning must begin soon. Most imminent is the PRA consultation deadline 6th January 2015, by which deposit-takers must file their responses to the CP20/14 proposals. Thereafter, two deadlines have been outlined by which deposit-takers must comply with the PRA’s requirements. A limited number are to be met by July 2015 and more are added to these 18 months after the PRA’s ‘Policy Statement’ which is to be submitted in 2015 H1. The table below highlights the key requirements, ordered by deadline date. This article will discuss these in more detail. The abovementioned PRA proposals are predicated upon the rule that all institutions holding eligible deposits must maintain a Single Customer View (SCV) file for each eligible depositor. This is the mechanism used to operationalise fast payouts in the event of a bank failure. The SCV rules prescribe a predefined template of information fields, for each eligible depositor, to be maintained daily by the deposit-taker. This is to be submitted to the FSCS in a resolution event to enable the reimbursement of deposits. 2) Mark eligible deposits from these same parties that would be eligible had they been made in branches of the deposit-taker located inside the EEA (eligible in nature but not geography) in a way in which they can be immediately identified. Wholesale-only deposit takers having to create or amend their systems, developing the capability to ‘mark’ the required deposits, could potentially pose a major IT/operations difficulty. A prescribed template of information, called the ‘information sheet’ must be provided to a depositor before entering into a contract of depositing and then at least annually thereafter (this template can be found in Annex 1, Appendix 2 of the CP 20/14). In the case of the former, receipt of this sheet must be acknowledged. On a deposit’s ‘statement of accounts’ there must be confirmation that the deposit is protected, information about exclusions to protection and the deposit-taker’s contact details. Inside branches (if appropriate) and on websites, FSCS stickers, posters and informative adverts detailing particular DGS-centric information must be displayed. If for any reason, a deposit-taker withdraws from the DGS or undergoes a merger/ conversion of subsidiaries into branches/ a transfer of similar occurrence, the deposit-taker must inform depositors at least one month before this legally takes effect and give depositors three months to withdraw their eligible deposits, including and accrued interest or benefits (which may exceed the maximum compensation sum payable) without penalty. In order to comply with these rules, deposit-takers will be required to examine their account-opening processes and come up with changes which incorporate the information sheet and changes to the statement of accounts. Since there may be multiple account opening processes (e.g. over the telephone, online etc.) this task could prove arduous. 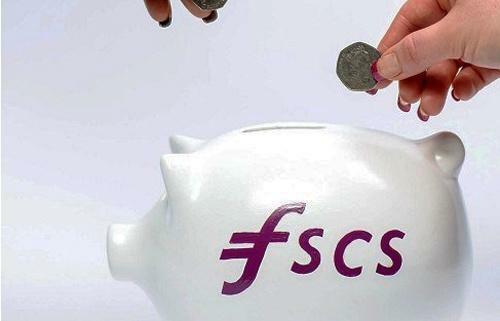 In the event of a bank failure the FSCS will use funds generated from contributions of deposit-takers who hold eligible deposits to provide payout to protected depositors. As mentioned earlier in the article, the recast DGSD requires wholesale-only banks create a PRA-compliant SCV file within 18 months of the PRA’s policy statement release in 2015 H1. Customer Details: Names and identification details. Contact Details: Ways to contact a customer: Address, email and telephone numbers. Details of Account(s): BIC and IBAN/account number and sort code. This section also includes the type of account and its status. Aggregate Balance: Includes a depositor’s aggregate balance across their accounts and their total compensatable amount. The maintenance of an SCV will facilitate compliance with account marking and rules 11.1-11.3. This could mean that although not strictly required until H2 2016, the creation of an SCV file prior to July 2015 might be worthwhile in helping to meet the account marking rules needed by the first delivery deadline. Maintenance of the SCV will also help with meeting ‘continuity of access’ rules. Deposits where the depositor is not absolutely entitled to the amount in the account. An example here could be an account shared by separate businesses undertaking a joint-venture. Before compensation is paid out it would be necessary to determine how much of the deposit-compensation each firm is entitled to. Deposits where the account is under legal dispute. If a business was in the process of being sold for example, or there was an internal dispute over ownership, it is potentially ambiguous as to who would be entitled to deposit-compensation. Deposits which are subject to restrictive measures imposed by governments or national/international bodies. The DGS does not cover deposits which were obtained through criminal activity or deposits holding funds acquired via money laundering. If there is an investigation into the source of a deposit it would be necessary to wait until a verdict before it could be clarified that a deposit is or is not eligible for a compensation payout. Deposits which could be in dormant accounts. Dormant accounts (defined by the Dormant Bank and Building Society Accounts Act 2008) do not receive DGS protection and therefore accounts which are potentially dormant are required to appear on the exclusions file. An obvious implication for wholesale-only banks here is the need for them to create an exclusions file (also, as per rule 12.5 they are required to document how this is done). However, because the exclusions file is very similar in format and information to the SCV file, with the most major differences being in the information fields concerning beneficiary accounts, it should not prove excessively problematic for wholesale-only deposit-takers to produce an exclusions file alongside an SCV file. The recast DGSD requires the FSCS to pay compensation to at least the majority of depositors within 7 days of the failure of a deposit-taker. This policy of ensuring ‘fast payout’ so that depositors have continued access to their funds is captured in the ‘Continuity of Access’ rules. The staggered implementation deadlines may result in some issues facing wholesale-only banks. For example, current customers will have set-up their accounts under certain conditions (the premise their deposit may well be uninsured), but the conditions of these accounts will now have changed and this must be communicated to customers. Alternatively, depositor’s ‘cash management’ attitude may change as they seek to deposit in various accounts as opposed to one to maximise protection, or ‘cash management’ services that may be supplied by wholesale-only banks might have to change to reflect this. There may also be other, equivalent compliance or customer communication issues facing UK banks and it would be worthwhile establishing these prior to the 6th January consultation deadline so clarification can be sought if necessary. The recast DGSD means substantial work for wholesale-only banks in a relatively short timeframe. It is essential that immediate focus is placed on the pre-July 2015 deliverables and in particular assessment of the work required prior to the 6th January 2015 PRA response deadline. Similarly the second set of deliverables, which although not due until 2016, should also be considered by banks now: a.) to include any issues in the January 2016 consultation b.) as some may be long lead time items and therefore leaving them until after July 2015 may be too late. A particularly onerous deliverable for July 2015 is potentially the ‘account marking’ requirements. Individually marking each customer file will likely require significant work. It may be that this would be made easier by initiating the SCV file – not due to be delivered until H2 2016 – early, in order to facilitate this process and reduce the workload later on. Another H2 2016 deliverable that may be best initiated now is the proposed ‘Continuity of Access’ requirement of account splitting. This represents a large and challenging IT engineering project, and in particular for banks with older accounting systems, a potential IT engineering nightmare. Design work for this should therefore begin imminently in order to assess the scale of this challenge. Wholesale-only banks are only now included in the deposit-protection scheme and therefore may lack familiarity with the rules and the processes they may now need to implement in order to meet them. However, a positive is that many banks have been exposed to and compliant with the previous DGS rules and therefore there is a lot of knowledge available in the industry that wholesale banks can now access. To read about the recast DGSD implications for banks already members of the FSCS DGS scheme see Part 1 here.